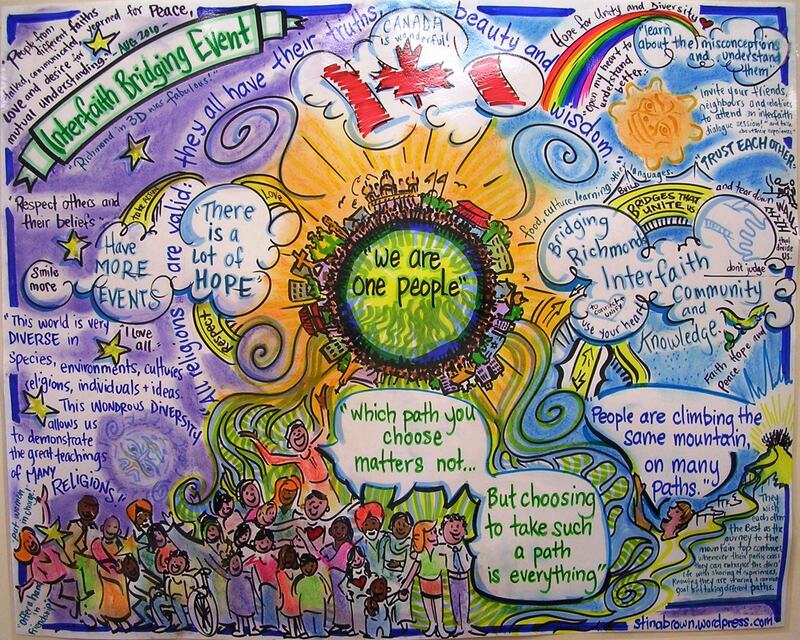 I have had many clients who see the advantages to bringing large custom visuals into their group process work. Most of us are visual learners. “If you use the visual style, you prefer using images, pictures, colors, and maps to organize information and communicate with others. You can easily visualize objects, plans and outcomes in your mind’s eye. 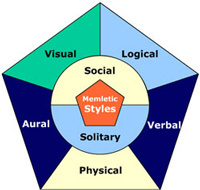 ” See the figure here and notice different learning styles. 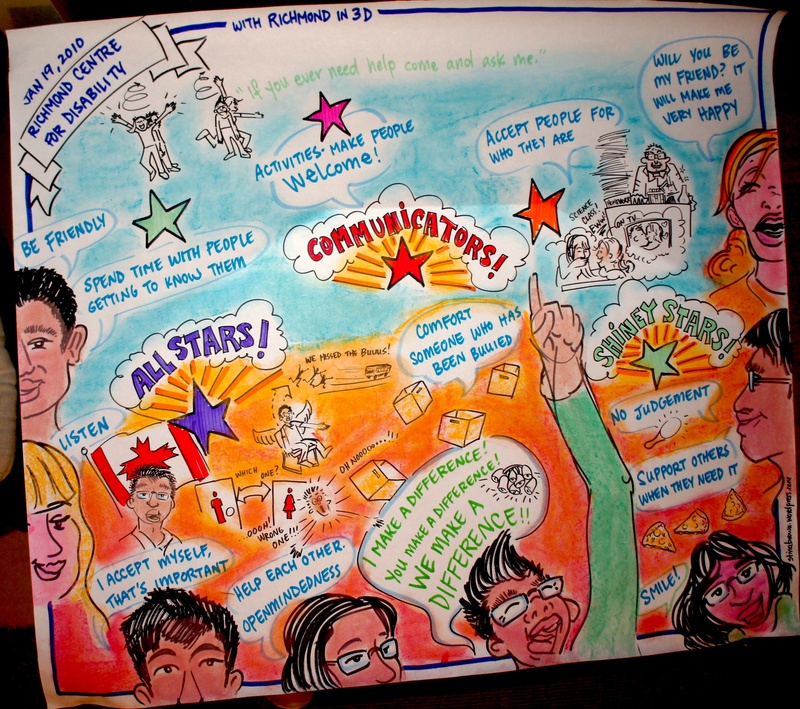 Visuals can help make your meetings (Strategic Planning, Board Retreats, Annual Meetings etc.) far more productive, memorable and enjoyable. 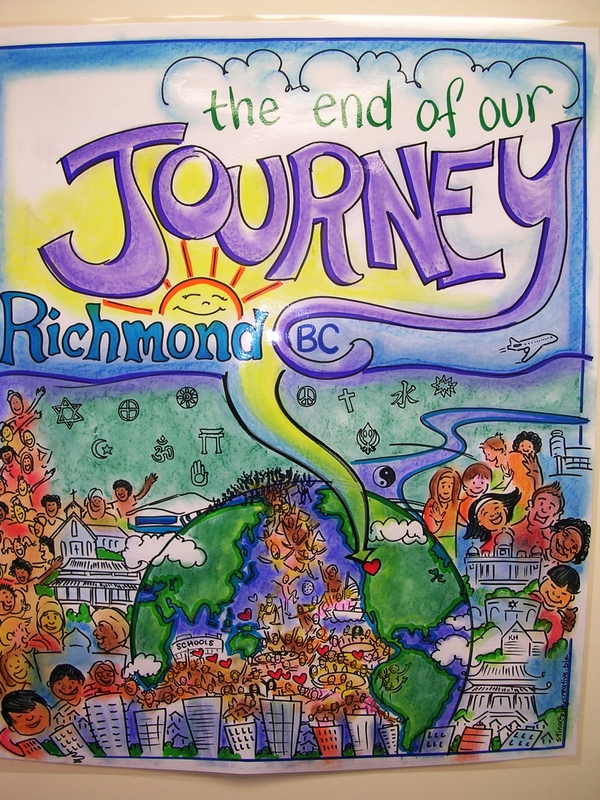 One client of mine, Richmond Multicultural Community Services (and Richmond in 3D) has hired me many times over the past few years to do live and in-studio pieces. The collection of visuals is now enormous. 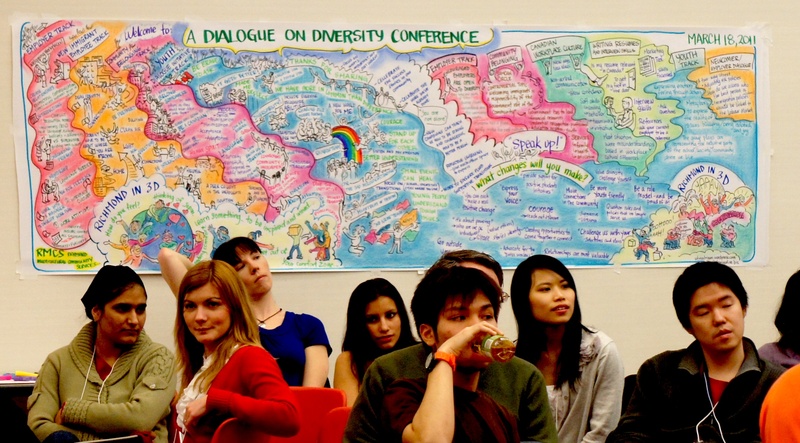 We can share the story or journey the initiative (more inclusive communities) has taken. See this video for some examples at a workshop and examples below. Also, for community engagement, consistency and saving on prep-time, nothing beats re-usable graphics. This graphic was used all over the Central Okanagan to engage citizens over many months about the Regional Growth Strategy. Contact Stina (604-612-8563) today to find out more about how this service can exponentially benefit your project over time.